Since I was a young girl, I was exposed to and cultivated yogic principles that value meditation and movement as a way of life. My birth name Prema, meaning 'love and compassion' in sanskrit, sets the tone for my practice -- the more love I can offer myself, without conditions, the more I can offer others both on and off the mat. Since these values have been a part of my life from the very beginning, I have sought training to enunciate and deepen my understanding of self through movement and contemplation. Recognizing the impact of yoga, movement, and body awareness on my physical, emotional, mental, and spiritual well-being, my desire to support others in this practice is what fuels me. 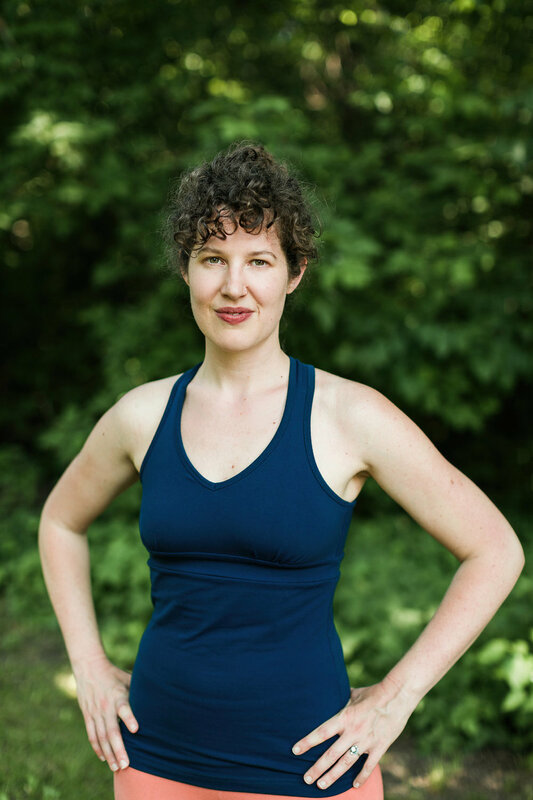 I received my yoga teacher training from YogaWorks in New York City, and have specialized training with Jillian Pransky in Restorative and Therapeutic modalities of yoga and in trauma-informed yoga with Exhale to Inhale. I have studied salsa, tango and contact improvisation extensively for the past decade which inform my approach of creatively "being with" others. I am a student of Body-Mind Centering and continue to train and learn from my mentors, Amy Matthews and Roxlyn Moret, of the Breathing Project and the Kinesthetic Learning Center. I completed my Prenatal and Postnatal Yoga training at the Prenatal Yoga Center in NYC. Language dance and singing, other passions of mine, contribute to my work as an adjunct professor at Hunter College in the Bilingual Education Department, my choral work with the Brooklyn Conservatory of Music and my position on the Contact Improvisation Committee at Earthdance. Align your body, ease your mind, nurture your life.